The Mazda MX-5 Miata was a perfectly good car before the guys at Mazdaspeed slapped a small turbocharger on the engine, but the Mazdaspeed MX-5 is the renaissance man's car, a well balanced combination of usefulness, style, and fun. It isn't a cave man (Mustang) or a Machiavelli (Ferrari), but it is the Leonardo Da Vinci of cars, a well rounded example of a car that makes the journey more interesting than the destination. 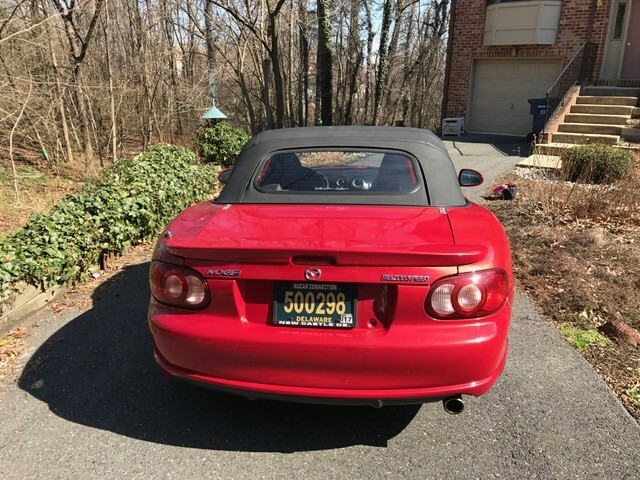 Find this 2004 Mazdaspeed MX-5 offered for $4,000 via cars.com. Tip from Roy. 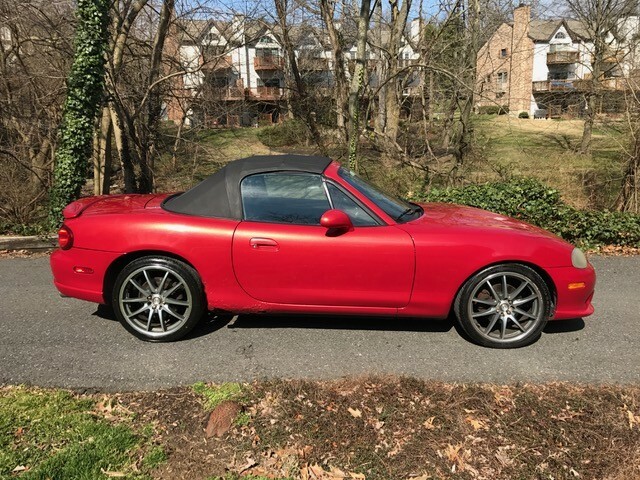 Mazdaspeed additions to the basic MX-5 go beyond just power -- also include was upgraded suspension, unique wheels/tires, cool interior trim, and a 6-speed transmission. Power comes from an IHI turbocharged and intercooled version of the BP-4W inline-4, that pumps out 178 horsepower and gets the MX-5 to 60 mph in around 6 seconds (about 1 second faster than the basic MX-5). This is not a criticism of Mazdaspeed's methods, or of this car, but adding a turbo and an intercooler seems like a lot of additional complexity, for a 1 sec improvement on 0-60 time. The suspension mods and the 6-speed seem like good ideas, though. The price looks very attractive, until you read the ad and see the part about rust damage to both rear fenders. Rust is like an iceberg: what you can see is just the tip. I was just thinking the same thing on the price, I saw the rust. So close. I just can't understand why Mazda builds such fun to drive cars that still rust so fast? I have owned a couple of Mazdas, the body just rusted away with no way of saving it. A great shame for a great car make..
Rust is the main reason I'll never own a Mazda. It never sleeps and it's always sad to see your car biodegrade. I have a few friends with them and has been told by his mechanic to take the car elsewhere because he just doesn't want to deal with the rusted fasteners anymore. Sad really.